It’s only been two races, but already, the front-runners and backmarkers of this IZOD IndyCar Series season have started to reveal themselves. With the majority of the season taking place on road and street courses, the drivers who normally excel outside of the ovals, as well as those who adapt well to the new Dallara DW12 and 2.2-liter turbocharged V6 engines, will likely dominate this year’s championship. STAR: Helio Castroneves. 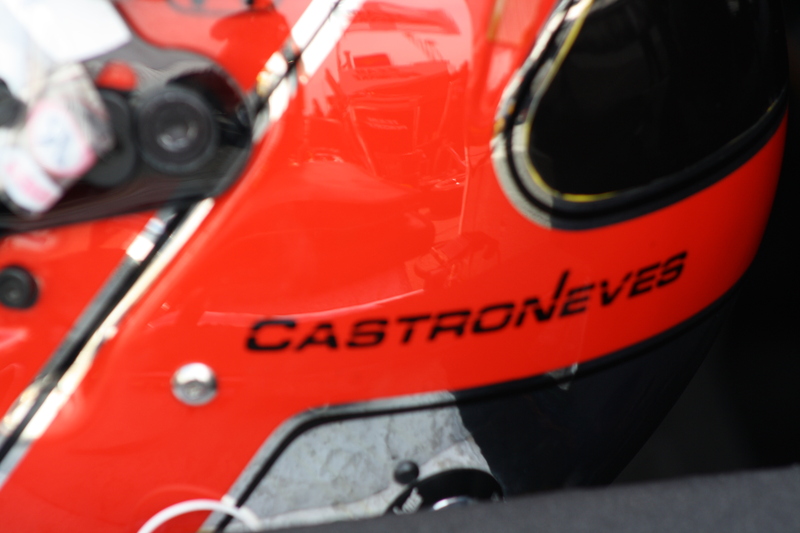 After failing to win a race in 2011, Castroneves opened this season with a win at St. Petersburg and a third place finish at Barber after winning the pole. A hard-fought battle with Graham Rahal at the end of the race ensured his second podium finish in a row and a two-point lead on Scott Dixon going into the Toyota Grand Prix of Long Beach, a race that Castroneves won in 2001. DARK HORSE: Sebastien Bourdais. There’s a reason why Honda was courting the four-time Champ Car champion heavily in the offseason: he can drive the wheels off a car. Bourdais set some of the fastest sector times at St. Petersburg before having a motor issue, and sliced his way to a ninth place finish at Barber with a series of impressive moves. Bourdais is only 14th in points, but has shown plenty of why he has 31 career victories (all in Champ Car), and if the Lotus engine ever catches up to Honda and Chevrolet, he’ll win at least one more. UNDERRATED: Simon Pagenaud. The Frenchman has yet to attempt any oval runs, with his first test coming at Texas next week, but his road course prowess should give Schmidt/Hamilton racing reason to smile most of the year. Despite a 10-place grid penalty dropping him to P16 at the start at St. Petersburg, he finished sixth; he followed it up at Barber with a fifth place run. Bourdais’ performances may be stealing the attention from his countryman, which is who so few will notice that he currently ranks fifth in points. IMPROVING: Rubens Barrichello. The 19-year Formula 1 vet is still petitioning IndyCar to restore his rookie status for 2012, but a respectable run at Barber showed that he may lose that battle. Barrichello took eighth place late in the race after starting 14th, thanks to an impressive late race pass of Marco Andretti. He’s now 10th in points – not tearing up the series like Nigel Mansell in 1993, but as the top KV Racing Technology driver in the standings, not failing to make the transition well by any means. ALBATROSS: Dario Franchitti. It seems clear that the DW12 doesn’t entirely suit Franchitti’s driving style, which is drastically different from teammate Scott Dixon’s. While Dixon has managed two second place finishes in two races, Franchitti could only manage a 13th place finish at St. Petersburg and barely squeaked into the top 10 at Barber. He’s now 11th in points. While things aren’t as bad yet as Dixon’s title-defending 2004 season, where the Kiwi followed up a strong 2003 with an absolute stinker due to a weak Toyota engine, Franchitti still has some serious work to do. There are instances in all sports, including motor racing, when inaccurate perception drives a story more than the actual facts do. The public formulates an opinion based on a limited set of data, everybody jumps on it, and suddenly the story is as good as absolute fact. The jury is still out on whether Lotus’ IndyCar program will be one of those stories. Everything about the British marque’s entry into the series as an engine manufacturer, rather than simply a sponsor, appears to be comprised of hasty last-minute decisions. Ever since they made their initial announcement – even then, at the 11th hour, just as the sanctioning body was about to freeze new entries – the thought has always been that Lotus would be far behind Honda and Chevrolet. After all, Honda has been the only engine provider in the series since 2005, and General Motors (mostly through Chevrolet, but also through Oldsmobile in the early days of the Indy Racing League and through John Menard’s Buick V6s) has had a strong open-wheel presence for the past 30 years as well. 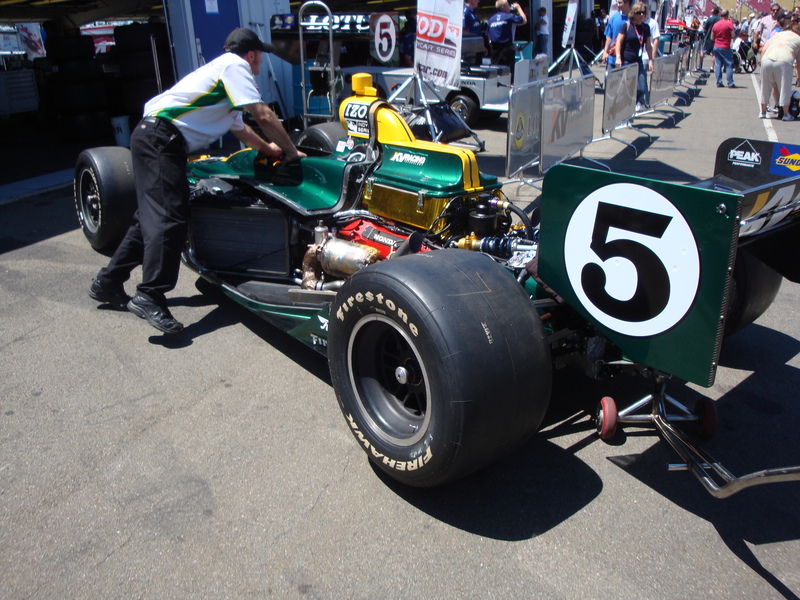 Lotus, meanwhile, attempted a factory IndyCar project in 1984 (the 96T) that was effectively quashed by CART’s uneasiness about having a “works” team. While elements of that car helped Lotus’ 97T win three Formula 1 races in 1985, the brand dropped out of that sport as a factory entry in the mid-1990s and is only just returning. In fact, a lot of Lotus’ newest racing projects have only popped up within the past few years. Credit Dany Bahar, Lotus’ CEO since September 2009, with wanting to revitalize both Lotus’ road division (announcing many new models) and its racing division. 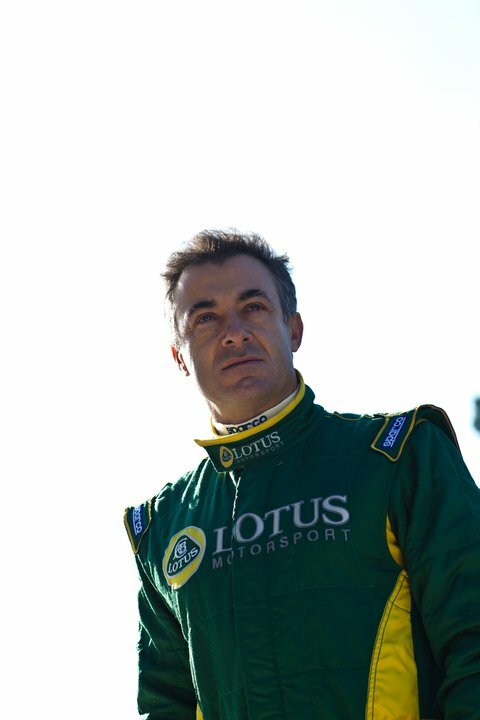 If anybody has the managerial experience to do it, it’s Bahar; from 2003 to 2007, he was the chief operating officer at Red Bull, and before taking the Lotus job, he held a major position at Ferrari. But Bahar inherited, simply put, what became a disaster of a brand. The Team Lotus trademark battle between the brand and trademark holder Tony Fernandes has been well-documented, and that level of bad press affects perception greatly. Instead of the brand working towards a renaissance, it appears to be destined for overexpansion. Instead of reclaiming its racing heritage, it’s only frustrating people. Perhaps that external perception of managerial incompetence, most of which has nothing to do with Bahar, has influenced the perception of the brand’s foray into IndyCar. Yes, Lotus has taken its program slowly thus far. Its test car did not debut with Honda’s or Chevrolet’s, waiting a couple of months before making its first laps. It waited longer than other brands to announce most of its teams, leaving slim pickings and forcing marriages with reluctant team owners. Things haven’t improved much since the cars have begun spring training. Right now, the brand can’t field more than five cars, due to a lack of engines. There have been rumors of bounced checks along the whole process, from Lotus struggling to pay Judd to build its engines to Dragon Racing not having an engine to take part in Monday and Tuesday’s tests. Only one Lotus tested in that session, and it brought up the rear, more than a second off the pace of the fastest cars. But Lotus does have one advantage on its side: per capita, perhaps the most driving talent in the garage. 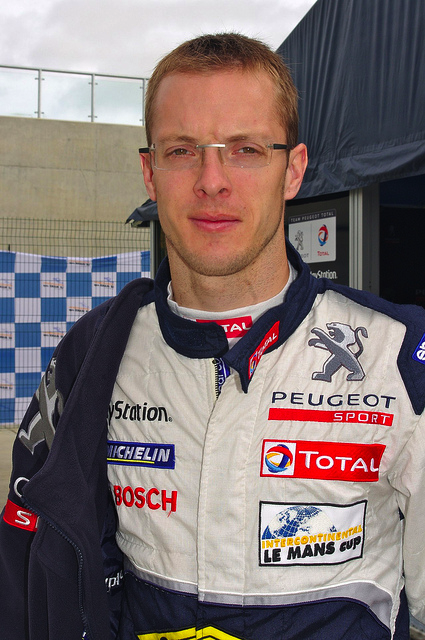 Sebastien Bourdais, four-time Champ Car champion, will run the full season (save Milwaukee, when he will race in the 24 Hours of Le Mans instead), and the greater ratio of road and street courses to ovals should give him ample opportunity to showcase his talent. Oriol Servia was one of the series’ top drivers last season in his return to full-time competition. Alex Tagliani won the pole for the Indianapolis 500. Simona de Silvestro and Katherine Legge have strong pedigrees in junior formulas and are no pushovers. 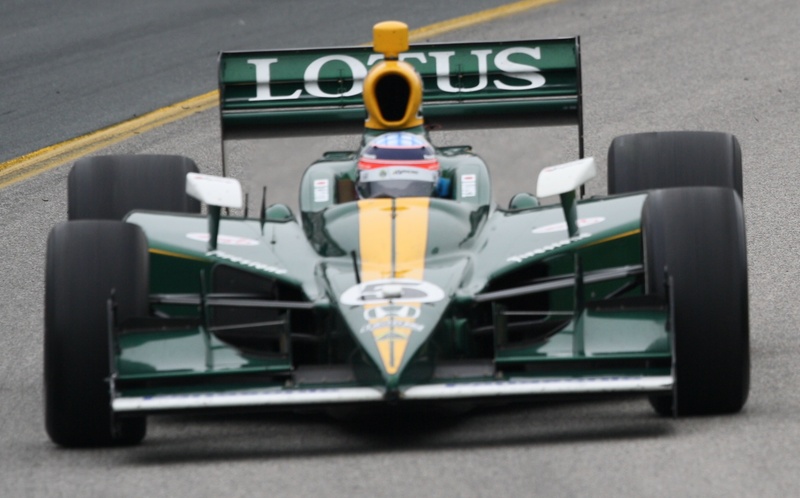 That alone may allow Lotus to be stronger than people think they’ll be this season. In fact, while Lotus has had to scramble to an extent to get their program together, it really appears that the forces at play have simply established a timeline that runs on the brand’s own terms. They appear to be on pace with where Honda and Chevrolet were two months prior in terms of speed and reliability. Add one of the smartest groups of drivers in the paddock to the mix, and you have a program that shouldn’t be underestimated, no matter the timeline. Remember that road and street course races aren’t necessarily just about being fast. They’re about being patient. Lotus may very well be taking that thought process to heart here, as Honda and Chevrolet push each other to the limit. With the rev limiters of the spec era gone, and a major engine rivalry about the resume, chances are that plenty of turbo V6s are going to blow this season. When they do, Lotus could be in the perfect position to capitalize, simply by keeping its drivers on track and out of trouble. 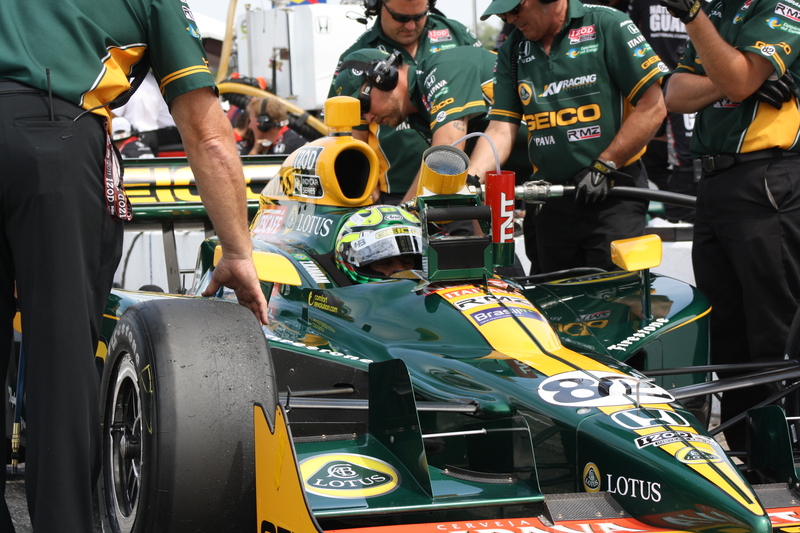 It may be inevitable that Lotus will be the third-best manufacturer in IndyCar in 2012. If people’s perceptions of their equipment and the quality of their teams are accurate, it may stay that way for the next few seasons. But they’ve assembled a decent driver lineup, gotten their cars to the grid, and will learn quickly over the course of the season. And in that case, suggestions of Lotus’ so-called inevitable flop may, in fact, be greatly premature. 2011 HIGHLIGHTS: Bourdais returned to American open-wheel for the first time since winning the 2007 Champ Car title, signing with Dale Coyne Racing to run the road and street course rounds of the IndyCar championship. He scored a best finish of sixth place on four separate occasions (Toronto, Edmonton, Infineon, Motegi). 2011 LOWLIGHTS: After a practice accident, Bourdais was forced to sit out of the season-opening round at St. Petersburg. 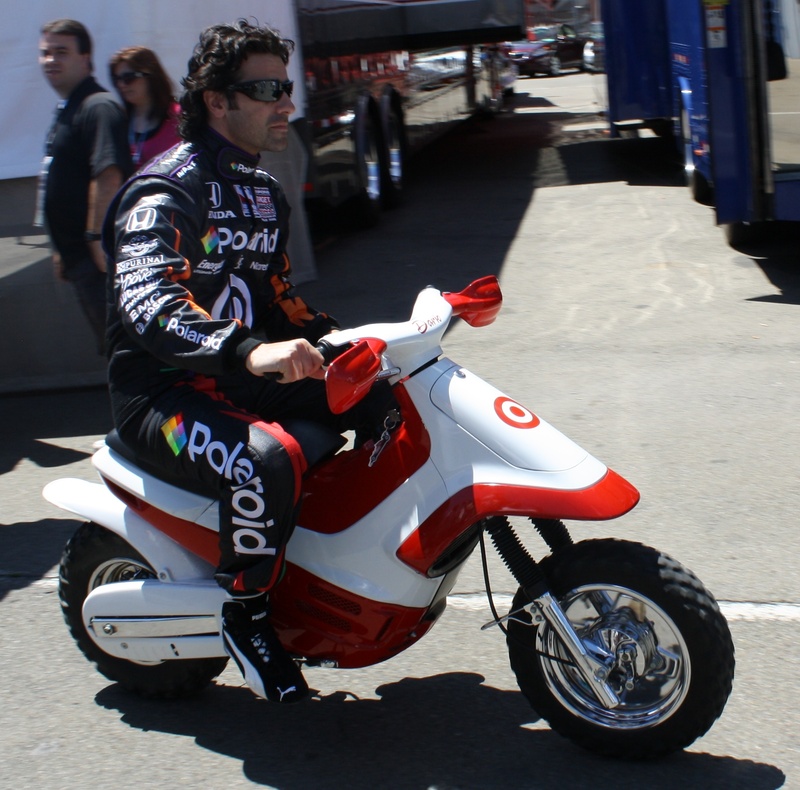 He was also unable to return to the Indianapolis 500 after a rumored deal with former CART owner Pat Patrick never came through. SEASON OUTLOOK: First things first – give Jay Penske some serious credit for taking a team on the brink of dissolution and landing two of the best available free agents on the market, Bourdais and Katherine Legge. What’s especially impressive is that the other offers on the table came from Dale Coyne, which likely would have seen Bourdais and Justin Wilson partner up, and World Endurance Championship manufacturer Peugeot, which makes some of the best Le Mans prototypes in the world. In fact, it’s safe to say that Penske’s offer may have been the least compelling of the three Bourdais was weighing. That being said, however, it was the most solid, as Coyne suffered offseason setbacks that put him a month behind the game, and Peugeot eventually dropped their sports car program entirely. Bourdais’ driving talent is unquestioned; he is tied with Paul Tracy at 31 wins for the title of winningest active American open-wheel driver, and he scored a series of strong finishes in Coyne’s mid-pack level cars. He’ll do plenty to legitimize Dragon Racing, though it may be too soon to expect a top 10 championship run (especially as he’ll skip the Milwaukee round to run the 24 Hours of Le Mans for a new team).